Before deciding on a price for a home, there are some ways you can negotiate. Buying a home is terrifying. Anyone who has been through it knows that the worst part is making that initial offer. Waiting to hear back if you have offered under the purchase price is enough to tie your stomach in knots. So how do you negotiate a purchase price? By following these tips and the advice of your Simply Referable real estate agent. The first time you have any contact with a seller’s agent is when you submit the offer. Use this contact as a way to find out the seller’s motivation for selling. Many agents will tell you if the seller is downsizing, moving for a new job, or is retiring to warmer climates. Knowing this information may tell you if the seller is motivated to sell and willing to negotiate an offer. If the seller doesn’t come down on the price, it could indicate they aren’t motivated to sell but if they counteroffer something higher than your offer but lower than the list price, they may be motivated to sell. Be Realistic with Your Offer. Be Serious. Low-balling the seller will not get you anywhere. If you go in too low, you could insult the seller. 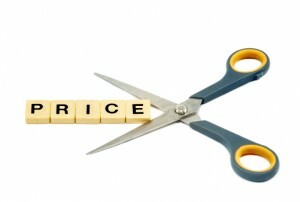 If your research shows that the price isn’t priced fairly, it is alright to offer something closer to the market value. But if the property is fairly priced, offer something slightly less than the listing price. Remember that it is alright to walk away if you can’t make a deal work with the other party. If you can’t put the deal together, go out and find another home you like just as much. Not taking the first home you like may turn out to be a blessing in disguise. By the time you make an offer, you should have all your ducks in a row. You should know the market, comp houses, and what the price of the house should be before sending over an offer. You should also know how much you can afford. It can be easy for a person to get carried away in the emotion of buying a new home you love but it is important to stick to your guns. If you feel like you are offering a fair price for the home and have the data to back it up, stick to it. It is important for you to convey how serious you are with your offer and you can do that by setting a deadline for the sellers. Putting a time limit on the offer will allow you to show you are serious and help you cut back on the weeks people usually spend worrying over an offer. Giving the owners a period of time will make sure they see the offer and either accept it or counteroffer. If the seller is unwilling to negotiate on the price, get creative. Instead of asking for a lower price, ask for some concessions. If you were going to use the money to make some repairs, ask the seller if they would make them instead. Or ask for some contributions for closing costs to help get you some money back. When negotiating a purchase price, it is important for you to go about it the right way with a real estate agent from Simply Referable. For more information on negotiating your purchase price, call us today!